It all started when Ricky Cappe built a custom home. Despite his construction background and career as a sustainable building consultant, he found himself astounded. 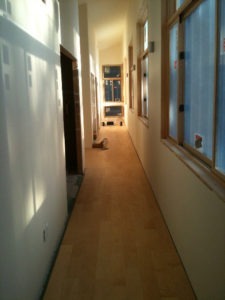 The amount of time, effort, and cost involved in a custom home simply shocked him. Cappe also knew the difficulty most homeowners face when confronted with the myriad of sustainable materials and energy-saving technologies available today. Cappe sought to simplify the process by creating the Sustainable Affordable Kit (SAK) House. The SAK concept included a complete set of building plans, material lists, suppliers, project schedules, and everything needed to construct a stylish and sustainable home. “I wanted to give people the opportunity to build a home that is not toxic, that is durable, of high quality, and utilizes cutting edge materials,” he said. A key component of the SAK™ House is an energy-efficient building envelope constructed with the Insulspan® Structural Insulated Panel (SIP) System. “I looked at a lot of different forms of construction, and I decided that SIPs were the system that I wanted to use,” said Cappe. The Insulspan SIP System provides higher effective thermal resistance and lower air infiltration than comparable building systems. Including a SIP System in the SAK House made it even more affordable. This is because the system reduces heating and cooling costs. Prefabricated SIPs from Insulspan also offer faster construction times and improved design flexibility for all five available SAK House designs. “The whole system goes up so fast and efficient that it was truly a pleasure to work with,” said Cappe. Each SAK House comes equipped with dual-pane argon-filled windows, radiant heating, ENERGY STAR® appliances, and low-flow fixtures and toilets. 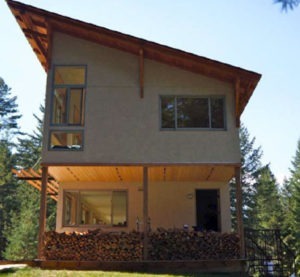 The home designs themselves are climate specific, with passive solar features for further energy savings. “The SAK House provides real value to homeowners by giving them a solid design with sustainable materials like the Insulspan SIP System, which will save them money as long as they own the home,” said Insulspan SIPS Sales Manager Dave Stevenson.